Socrates Schouten leads the Commons Lab at Waag, an institute for technology and society in Amsterdam, the Netherlands. 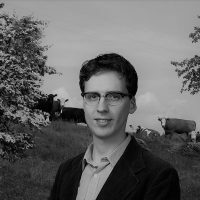 He previously worked for Bureau de Helling (the scientific bureau of GroenLinks) and Recycling Netwerk Benelux. Various Dutch cities have started basic income experiments. But restrictions from central government are making some veer from the founding principle. How will it play out?